Their music language is pure rock. Their lyrics are in Arabic. They sing about their youth and their international fan base keeps growing. Everywhere they go they create controversy, set the stage alight, and make the audience roar. Meet JadaL. 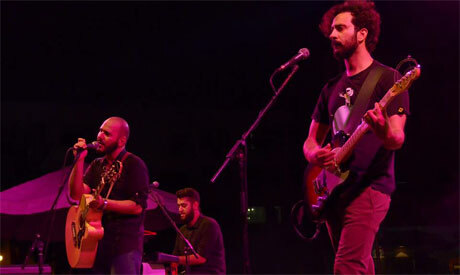 The Jordanian band's current line-up includes guitarist, songwriter, and producer Mahmoud Radaideh, vocalist Ahmad Zoubi, bassist Yazan Risheq, Hakam Abu Soud on drums, and Bader Helalat and Hani Mezyan on keyboards. 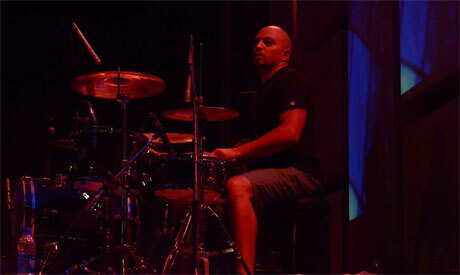 JadaL performed in Alexandria on 14 August, taking part in the Bibliotheca Alexandrina Summer Festival. JadaL's beginnings as an underground band were not as easy as we'd expect, judging by their widespread popularity around the Arab world, which was achieved only one decade after they started their music journey. 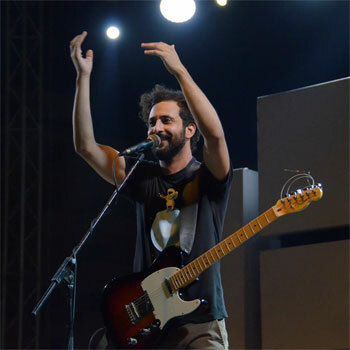 Since their foundation in 2003 by Radaideh, JadaL has played alternative rock, at a time when the Jordanian music scene was filled with pop, commercial tunes, and love songs. But then JadaL came along and surprised listeners with Radaideh's new arrangement of El-Toba, a well-known song by the legendary Abdel-Halim Hafez. The new version combines oriental melodies with rock tunes, following the Arabic lyrics well known to the collective culture of the listeners. The song became an important step in JadaL's biography, immediately establishing them as pioneers of Arab rock. 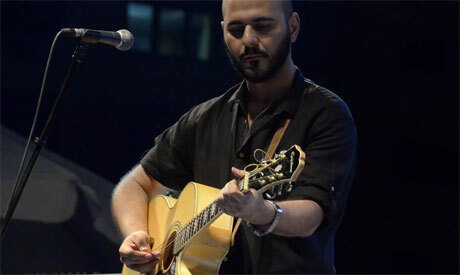 Radaideh then released the single Salma, a song he wrote and dedicated to his niece. Played on the radio, the song helped JadaL move to the front lines of the local music scene. As their journey continued, most of the songs released between 2003 and 2009, saw big influence of international bands such as Radiohead, Muse, Coldplay, Tool, and Deftones, among others, as the band continued to oscillate between different layers of rock, exploring the 1990s in particular. JadaL's themes are rooted in the life of Arab youth such as the race against time and working hard to earn one's bread. They also dissect difficult situations in the country and the many problems that youth face. The humorous stories presented in the video clips often point to scathing criticism of reality. In 2009, they released their first album, Arabic Rocks, reaffirming their music signature through 14 songs written mainly by Radaideh. The band began gaining larger audience by the day. The second album, El Makina (The Machine) was released in December 2012 and marked a turning point in JadaL's history. It is in this album that the band decided to fuse several music genres. "Development happened naturally and my experience in writing songs became more important. This fusion was organic and was coupled with my personal growth. I do not think much about the definition of a musical fusion, even if it becomes my style in compositions. We just make music, following inspiration from classic and modern musicians," Radaideh explains to Ahram. I'm in Love With Wala Bent (I'm not in love with any girl) and Ana Bakhaf Men Al-Commitment (I have a fear of commitment) are two humorous Anglo-Arab songs based on a play on words. Both songs talk about problems between men and women in today's society. Radaideh explains that putting English lyrics into an Arabic song was not the composition's main objective. "I write and sing as I speak or as I imagine others speak. I enter an imaginary world and give free rein to the words and melodies. I do not control my songs and do not direct them to please or to avoid criticism. First I write my message on the paper, then transfer it to the audience," Radaideh says. 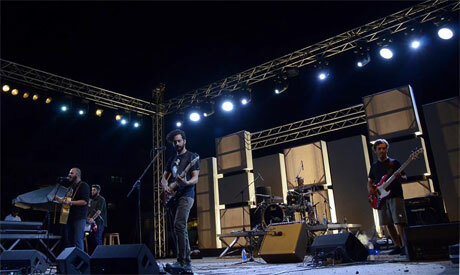 Their recent song, Sotkom Aala Min Sout Al-Sammaat (Your voices are stronger than the speakers) in which the band refers to a real life experience, made a huge stir between their fans. For a whole year JadaL was trying to give a concert in Amman, but the authorities as well as private event organisers found them "too provocative." After many struggles, the concert was held in April 2015. The musicians sang about their experience, describing the obstacles they faced. "Why do they fear us? Anyone who hates or opposes us needs to get with the times or else they’ll be left behind,” responds JadaL through their lyrics.